The 9th annual Santa Cruz Chocolate Festival is Sunday, January 17, and there will be delicious sweets with a delicious cause: UC Santa Cruz scholarships. The event is from 1 – 4 p.m. at the Cocoanut Grove by the Santa Cruz Boardwalk. The Santa Cruz Chocolate Festival brings together about two dozen vendors. See complete list. Participants include local confectioners and bakers like Ashby Confections, Buttercup Cakes & Farm House Frosting, and Pure Heart Chocolate; restaurants like India Joze; and companies like MÄKSĒ Gourmet Rice Crisp Bars, My Mom’s Mole, and Nut Kreations. Wineries include Burrell School Winery and Vineyard and Sones Cellars, and breweries include Highway 1 Brewing Company. 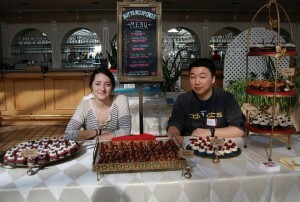 Each food vendor will have treats such as truffles, cupcakes, or ice cream available in exchange for a tasting ticket. 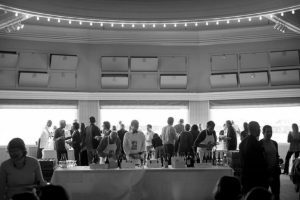 Buy tasting tickets at the event (admission is free) or online. Each $15 purchase gets you six chocolate or wine tastes. There will be live music and a silent auction. Attendees can enjoy activities like cupcake decorating ($4) and face painting (prices vary depending on artist). Select booths will sell chocolate products like Valentine-themed gift boxes. The festival benefits re-entry student scholarships at UC Santa Cruz (for students returning to higher education after an extended absence, often students who are also parents or military veterans). The UCSC Women’s Club, a nonprofit organization open to women from both the campus and local communities, presents the chocolate festival. The club has meetings throughout the year (except for the summer) with engaging speakers, and also hosts interest groups including book clubs. In the last 37 years the club has awarded over 340 scholarships totaling nearly $250,000 to deserving women and men for research activities, tuition and childcare. Santa Cruz Chocolate Festival 2014: Here’s what you get to taste! The 2014 Santa Cruz Chocolate Festival is Sunday (1-4pm, Cocoanut Grove) with more than 25 vendors. Benefiting re-entry student scholarships via the UC Santa Cruz Women’s Club, the chocolate festival is a popular event you don’t want to miss! Read more in this overview article, and keep reading for vendor information and some chocolate sample details to whet your appetite! Watch for a few more sample details to be published tomorrow. 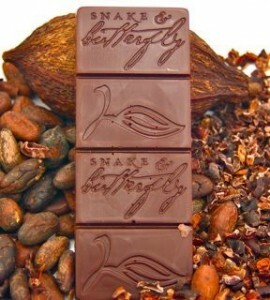 Snake & Butterfly Chocolate is an award-winning South Bay company that refines organic, fair trade chocolate from the bean. Snake & Butterfly makes small batch artisan chocolate using traditional stone melangers, using three basic ingredients: cacao beans, cocoa butter and sugar. They do not use emulsifiers or artificial ingredients. This chocolate is then used to create plain and flavored bars, truffles and confections — many suitable for vegans. At the Chocolate Festival, Snake & Butterfly will be sampling a variety of plain and flavored bars (Salt & Almond, Ginger & Nib, Bacon Toffee, Cherry & Chili), truffles, and caramels. The entire chocolate line will be for sale, too. Snake & Butterfly has recently opened their first retail location in Historic Downtown Campbell, where you can find all their creations as well as a collection of other local organic artisan products. 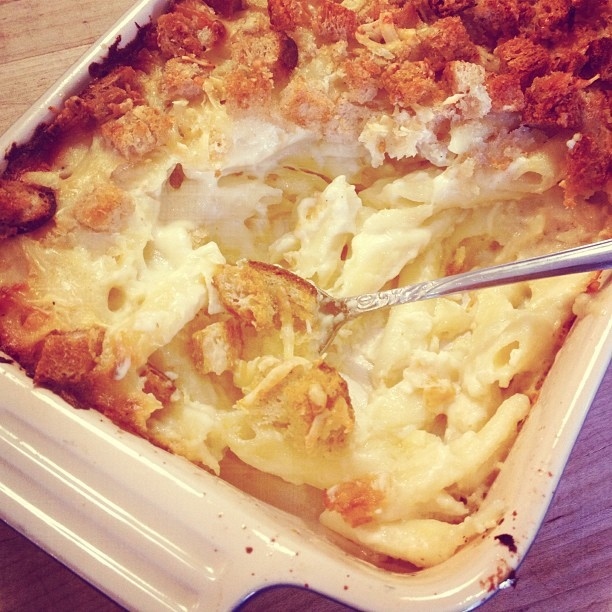 Original Sin Desserts & Catering was founded by UCSC graduate Tanya DeCell. Original Sin will be serving Oaxacan black Mole made with both Guittard and Scharffenberger chocolate. As with all of DeCell’s food, it is made from scratch using all-natural ingredients (locally sourced and organic wherever possible). Original Sin caters both private and business events, with a special emphasis on food and wine pairings. 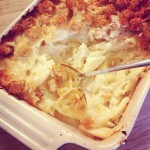 DeCell is the primary chef for several wineries including Silver Mountain, Soquel, Sante Arcangeli and Wargin Wines. 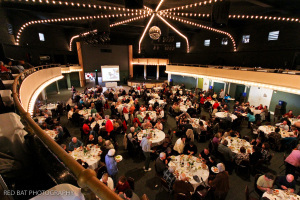 The 7th annual Santa Cruz Chocolate Festival on Sunday, Jan. 19, 2014 benefits UCSC scholarships, and I have lots of delicious food and wine highlights to share. The event is from 1 – 4 p.m. at the Cocoanut Grove by the Santa Cruz Boardwalk. The Santa Cruz Chocolate Festival brings together more than two dozen vendors. Last year’s festival welcomed wineries for the first time, and that tradition continues in 2014. Participants range from local confectioners and bakers like Snake and Butterfly, Original Sin Desserts & Catering, and Saratoga Chocolates, to local restaurants like Chocolate and India Joze, to vendors from other states (like Theo Chocolate from Washington). Other local companies who will be present include Zizzo’s Coffee, Mission Hill Creamery, and wineries Sones Cellars, Alfaro Family Vineyards, and Silver Mountain. I’ll publish information about specific items vendors will have for you to taste, and more details on some of these companies, later tonight and tomorrow so watch for Part 2 and Part 3! 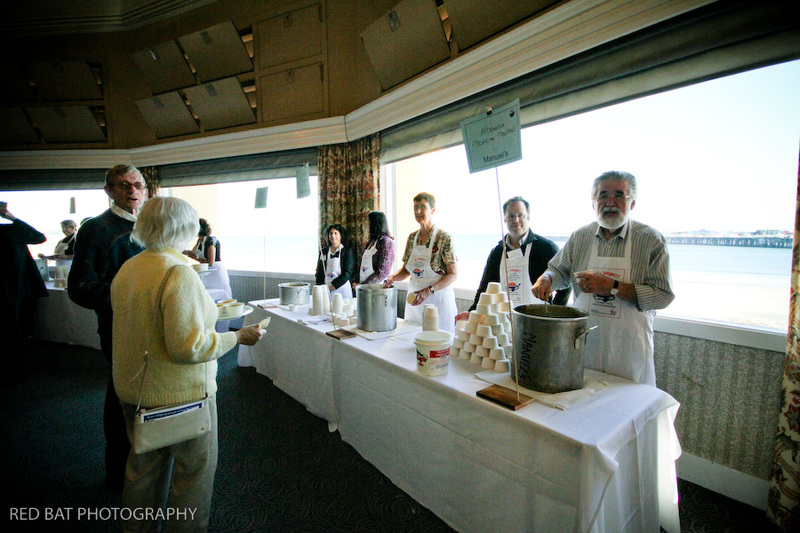 Each vendor will have treats such as truffles, cake, or ice cream available in exchange for a tasting ticket. Buy tasting tickets at the event (admission is free) or online. Each $15 purchase gets you six tickets. Another note: there will be a silent auction, cupcake decorating ($3) and some vendors are also selling chocolate products—remember that Valentine’s Day is quickly approaching! The festival benefits re-entry student scholarships at UC Santa Cruz, for students returning to higher education after an extended absence, often students who are also parents or military veterans. The chocolate festival is presented by the UCSC Women’s Club, a nonprofit organization open to women of both the campus and local communities. The club has meetings throughout the year (except for the summer) with engaging speakers, and also hosts interest groups including book clubs. In the last 37 years the club has awarded over 330 scholarships totaling nearly $230,000 to deserving women and men for research activities, tuition and childcare. Mushroom fan alert: the 40th Annual Santa Cruz Fungus Fair is this weekend — you can watch cooking demos, buy mushroom-related food, see lots of unusual mushrooms, and more. The event is at Louden Nelson Community Center in downtown Santa Cruz. Also—if you’re a mushroom lover, check out the web site for NEXT weekend’s Big Sur Foragers Festival (Jan. 17-19, 2014). The event began Fri. January 10 and most events are 10 a.m. – 5 p.m. Sat-Sun. January 11-12 . Enjoy cooking demonstrations, lectures, lots of unique mushrooms on display, and kids’ activities. Plus, there are many mushroom-themed food selections for sale. The Fungus Fair draws more than 2,000 visitors each year. I went a couple years ago and it was quite enjoyable. A special habitat display area, beautifully arranged, will showcase hundreds of mushroom species commonly found in the Santa Cruz/San Francisco/Monterey Bay area. A Kids Room offers hands-on projects such as clay mushroom building and face painting. The fair is hosted by the Fungus Federation of Santa Cruz, a non-profit organization that aims to expand the understanding and appreciation of mycology (study of mushrooms) and to assist the general public, related institutions, and societies to further this goal. Its biggest event is the annual Fungus Fair. There are so many fun food- and restaurant-related events in Santa Cruz that it’s hard to keep up; here are two occurring on Tuesday, Mar. 12, 2013. Lago di Como Ristorante & Pizzeria, which opened in December, is having its first Winemakers Dinner. 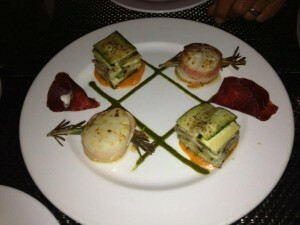 The cost is $62 for a six-course meal including wine pairings. Courses include salad, pasta, fish, and meat (the latter is top sirloin stuffed with artichoke, panko, Parmesan, with rosemary-white wine sauce and served atop garlic mashed potatoes). Read more and view the full menu at Lago’s Facebook page. The event begins at 6 p.m. and features winemakers from Treviso, Italy-based La Cantina Pizzolato Winery. Reservations will be accepted up until noon on Tuesday, via email (lagodicomosc@yahoo.com) or phone (831-454-8257). Read more about the restaurant here. Now Rooz, also known as Persian New Year, takes place each year at the same time as the vernal equinox. There are many celebratory rituals associated with this holiday, including one where people “jump over fire” (sometimes a mini-bonfire at the beach) while saying certain phrases to “get rid of the old and bring in the new.” India Joze is holding a few events related to Now Rooz; read more at the restaurant’s Facebook page. One event is on Tues. Mar. 12 from 7-9 p.m. There will be free Persian appetizers and desserts, plus an optional fire-jumping ritual, all right outside India Joze. Recent restaurant news for Santa Cruz and nearby neighborhoods features a closing, several changes, and openings including a couple new locations for already-existing restaurants (Burger in Aptos, Penny Ice Creamery in Pleasure Point). 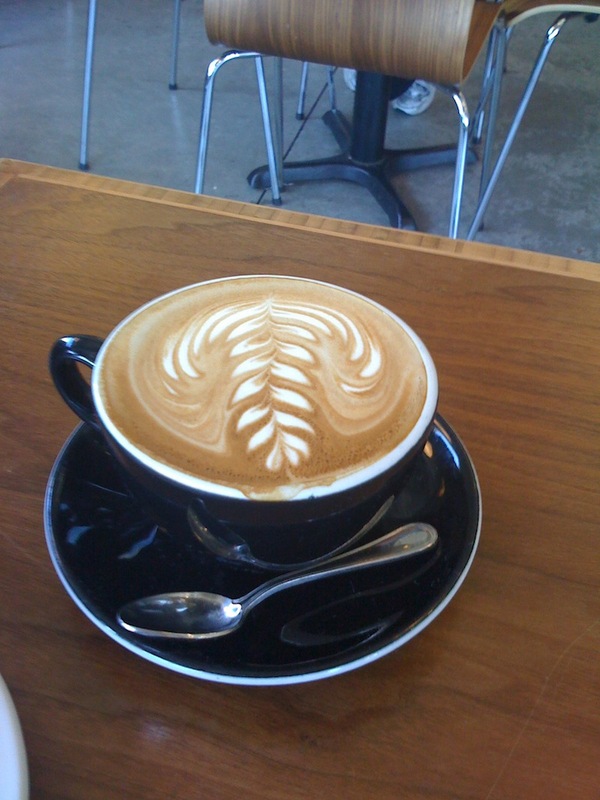 A new café has opened on Mission Street near Bay, at the former site of Filling Station, which closed in August 2012 after being open for one year. Westside Bistro opened on January 1, and its hours are Sun-Thurs 7 a.m. – 7 p.m. and Fri-Sat 7 a.m. – 8 p.m. Menu selections include soup, salad, panini, empanadas, coffee, tea, and espresso drinks. The venue also sells gifts; its web site proclaims these include laser engraved art, art from showcased local creators, and movie merchandise from Westside Video. India Joze is re-opening today, January 21, at 3 p.m. after being closed since January 13 for a remodel. This is the restaurant’s first big remodel since its Summer 2010 opening. It includes a re-done kitchen, new floors and paint, and India Joze promises an improved dining room that features two window booths and more comfortable seating. The restaurant also just announced its first-ever Coconut Festival, which will be held Feb 1-2. Stay in touch with India Joze via its Facebook page. The oceanfront café, owned and operated by the folks behind Penny Ice Creamery, re-opened January 18 after a two-and-a-half week closure. The Picnic Basket boasts added outdoor seating plus new menu items including “Anna’s Mac ‘n’ Cheese,” several entrée salads, and a bacon/celery root/truffle oil/goat cheese panini. One salad featured on Jan. 19: the Daily Grain with wheat berries, blood oranges, sweet baby carrots, and toasted almond and chicory root. Longtime fans can be assured that certain staples are still available such as desserts with Penny Ice Cream, jelly donuts, the tasty Rib King pulled pork sandwich, and local beer and wine. The restaurant and bistro at Casablanca Inn (near the Boardwalk and Wharf) are temporarily closed. A re-opening date has not been announced at this time. The café Deli-Licious, located in the shopping center on E. Cliff Drive near 15th, is closing its doors on Jan. 31. For now, it has reduced its hours. Co-owner Karla Oliveira will continue her catering business, which is called Karla’s Kitchen. Through this business, she provides lunches to local schools and also caters private events and parties. Dave’s Gourmet Albacore, located in the Harvey West neighborhood, shut its doors in early January. The venue had first opened as a retailer 13 years ago, and later added a café. Owner Dave Greenberger has said that he might re-open in the future in another city. Chef Jozseph Schultz prepares his culinary creations. 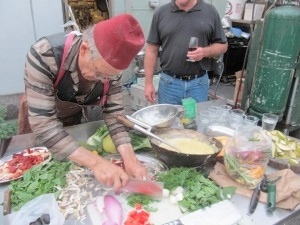 Talented and unique chef Jozseph Schultz, from Santa Cruz restaurant India Joze, is offering a cooking lesson and feast at Santa Cruz’s Museum of Art & History on Wednesday, July 25. The event is from 5:30-9 p.m. Attendees are asked to bring $10 and a “favorite veggie or meat from the Wednesday Farmers’ Market or from home.” The chef will create a feast from everyone’s culinary treasures, also utilizing some of his delectable sauces and tools that he will bring from the restaurant. Guests will have the opportunity to help prep the food, too. The event includes appetizers and dessert. If you can’t make it this week, Chef Schultz does this innovative “cooking demo / cooking lesson / improvised feast” every Wednesday evening from 5-7:30 p.m. at his restaurant (418 Front Street, 831-325-3633). To keep up to date with all of the Joze events – AND get discounts from time to time – make sure you regularly check the restaurant’s Facebook page http://www.facebook.com/IndiaJoze.